Title loans allow you to borrow money against the equity of an asset that you own. With a Yes Plan long or short term title loan you can borrow money on your cars, trucks, SUVs, vans, mobile homes, motor homes, recreational trailers and homes. We also refinance high interest title loans made by other companies, offering better terms and easier loan payment schedules. Yes Plan Financial should be your first choice for title loans. Why apply for a Yes Plan title loan? There are many different reasons people in Alberta apply for title loans. If you need a fast title loan to tide you over, an unplanned family emergency, medical bills or events that require fast cash, then the solution is a Yes Plan Financial Title Loan. Anyone can have an occasional cash flow emergency. When you go to a bank to finance a loan and try to explain the situation, it can take days in order to approve and process your loan. At Yes Plan Financial we can have a title loan approved and processed in a few hours. At Yes Plan Financial, we’re in business to make quick, easy, convenient and hassle-free title loans. Our staff is courteous and helpful and we value you and your personal privacy. We also offer a client referral program on our title loans. Refer a friend or family member to Yes Plan Financial and we will pay you for your loan referral, it’s that easy. Sometimes bad things happen to good people. Emergency situations happen all the time when least expected. In today’s economy, we don’t always have the extra funds to budget for these emergencies and Yes Plan Financial understands this. 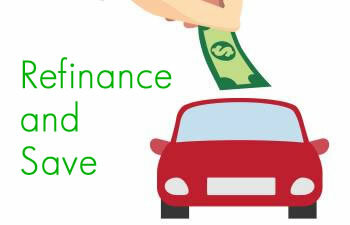 That’s why we want to let you know that the solution to your immediate financial needs may very well be to tap into your home equity or the vehicle you are driving! If you have home equity or own a car and have clear title, then a title loan from us can provide you with the cash you need within a matter of minutes, hassle free and regardless of your credit. We are prepared to offer you a cash title loan from $100 to $100,000.00 regardless of your credit. Bad credit, slow credit or even no credit is not a problem when you come to Yes Plan Financial. Our professional and courteous staff at Yes Plan Financial will do everything within its power to help get the most cash for your title loan. At Yes Plan Financial we will get you the most money for your auto, truck, RV, boat title loan. Call toll free now 844-543-5626 or fill out our easy online application for Title Loans.